Last week I attended the Grow with HubSpot Melbourne 2018 event. It was a terrific day full of free food and coffee, as well as incredible networking opportunities. The main benefit of the event, however, was the insightful seminars full of great strategies and tips for improving our inbound marketing techniques. Here are some of those really handy tips that you can easily implement in your marketing strategies today. Think of a funnel designed to capture the maximum potential of today's busy internet traffic and steer it directly and delicately to your sales team. That's how HubSpot wants you to think of your digital marketing team and tools, and indeed they reckon your marketing and sales teams should be strongly aligned. This means having good communication between your two teams and a development of goals that complement each other. .
On the marketing side, the goal is to create content and customer experience that can generate the projected amount of leads the sales team need to achieve their objectives. Effective content has the potential not just to make a sale, however, it can lead to significant brand awareness and set up your business with an active and engaged following. This content can come in many forms; website pages, blog posts, social media accounts, images and info-graphs, podcasts, videos, and ebooks. "It's really content that sits at the heart of the top of the funnel, as it's what attracts strangers to your site". The old rules of advertising and marketing are definitely gone. Consumers have more power and more tools at their disposal to conduct their own research than ever before. Attracting customer's attention is becoming more important and more difficult than ever. The benefit to this harsh new reality is that if your business can deliver the educational, entertaining and inspiring content you'll have nurtured a loyal customer base that deeply values your content, and in turn your products and services. It's by adding this free value to your content that is the real key to marketing success. Blogs are a really great example of how your marketing strategy can add real value to your followers. Sharing your unique industry expertise and knowledge is a great way of informing the public about questions they want answers to, as well as establishing your company as an industry leader in the digital space. Blogs also deliver a huge return on invested time. One big mistake many businesses make is only promoting their content for a small period of time. With the right strategy in place, your blog posts can continue generating leads many years after being published. Developing your blog page in the first few months may prove tough, but over time you'll see the rewards reap themselves. Buzzsumo is probably the most popular destination for a blog writer to find analytical research on particular topics or keywords and what the most shared articles of today are. It's a great place to go when you're just starting out and struggling for ideas, but also for developing your content strategy and planning the timing of different content. They also identify the major influencers of an industry, which is extremely helpful in finding important figures in the online community to connect with. As the most popular search engine in the world, Google literally wrote the algorithm that millions of internet users use to navigate the internet. Thankfully, they have some incredible tools that your marketing writers can use to your business' advantage. Google Alerts is a feature where you can get daily email notifications of new content as it surfaces, helping you stay up to date with the latest articles on your specialist content as well as keeping an eye on the competition. Google Trends is another tool that lets you get a worldwide overview of the performance of past and present trends. It lets you see the interest of a topic over time and compares it to similar topics and trends. You can see what the breakout trends of the moment are on a specific topic, and whereabouts in the world they're gaining the most momentum. Grab the internet's attention with the best headlines with this free tool, that quickly grades your headline and gives it a score out of 100. It's an easy way of pitting your headline's against one another to see which one is the most effective. It calculates your word balance, length, grammar and structure as well giving you a preview of how your headline would look on Google. 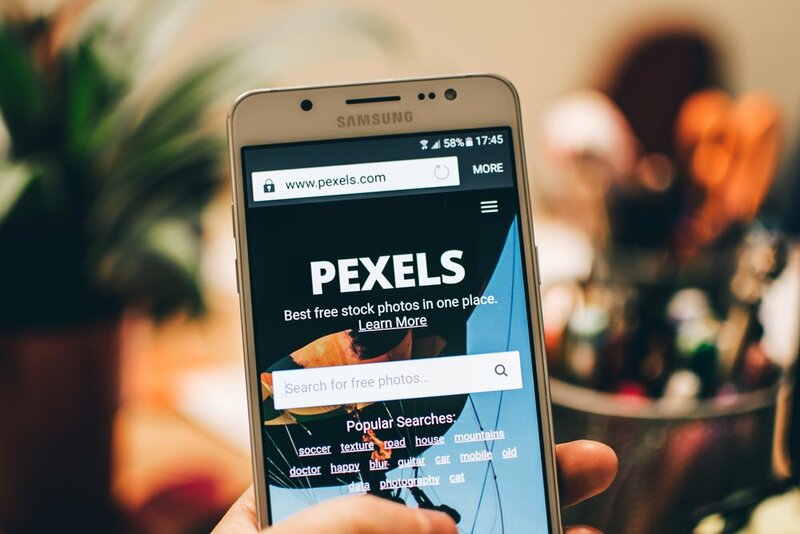 Every blog needs quality images and graphics for the best results, and Pexels is a great free tool that makes you look like a graphics genius, with very little effort or training. With so many free stock photos and templates available, its handy for every industry and topic. Having your website up-to-scratch is vital so you can direct that traffic you've made with your blog somewhere that will be optimal for your sales. Website.Grader.com is an excellent tool to give you a quick result on the security and functionality of your current website. Simply plug in your website to get that reassurance that your team is on the right track, or if it's time for a major update. The worst fear of any writer is a spelling or grammar mistake that gets missed in loads of content. Cover all your bases with Grammarly's free downloadable software that you can add to your browser that picks up every mistake you make. It's a fantastic tool that you'll get value from the moment you download it. Many in the industry reckon that the days of email lists and automated newsletter subscriptions are long gone. HubSpot's marketing team aren't so quick to jump on the train, however. They do admit that email marketing is probably the most used and abused form of digital marketing around these days, but it doesn't have to be. It all boils down to ease of use, and the value is added to the marketing. If there's no value, it will feel a lot to your customer like spam and they'll either ignore it or worse still unsubscribe from your list. Another great tactic to use in converting email marketing to your customers is giving them the choice of delivery. If they can choose how often they get your content, and what time of the day or week they get it it will greatly improve their attitude to your content, to begin with before they've even read what you've sent. Email marketing remains one of the most effective and strategic ways of communicating with your following and customers, but it must be done well. HubSpot has also predicted that Facebook Messaging will grow to become another facet of digital marketing. Throughout the event, we were sent messaging from HubSpot's team on the messaging app. It may seem like a pretty invasive tactic, yet it was a really handy way to track down a HubSpot marketing team member during the coffee breaks, and to get access to the slides after the event. From their point of view, they were able to get a large volume of user data all at once and I could definitely see it's potential for the future of digital marketing strategy. It's obviously a tactic to think about more and road test slowly and delicately, and there's certainly a risk of turning a client away. As the fad of social media fades and it becomes a more fixed part of our daily lives, it's important to continually look at your social media marketing strategy and its effectiveness in generating leads. Ultimately, time will tell if this technique is the new revolution in digital marketing or a misfire. If you're looking for a more comprehensive approach to your digital marketing strategy, contact us today and inquire more about our digital marketing services.